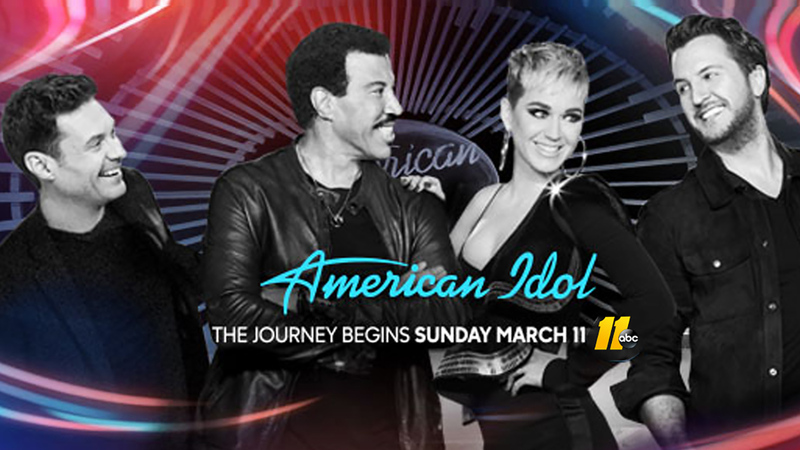 ABC11 is your home for American Idol. The journey continues Sunday and Monday nights! Watch it on ABC11 or on the ABC App. How do I watch American Idol? You can watch the show on ABC or using the WATCH ABC apps. Who is hosting and judging American Idol? Ryan Seacrest is back as host with an all-new judges panel: Katy Perry, Luke Bryan and Lionel Ritchie. Everything you love about the show is back, from the contestant's heartwarming stories to the judges' hilarious interactions. With these judges, expect some antics, too, like when Luke Bryan crashes a wedding as they play his hit "Crash My Party."